 Each year the members of the TRU Students’ Union elect representatives to serve on the TRUSU Board of Directors. These representatives are responsible for planning and implementing the activities of the Union and making decisions on behalf of the membership between annual general meetings. Serving on the TRUSU Board of Directors is a great way to gain a lot of practical experience and serve the campus community. Students elected in the 2019 TRUSU Election will serve from May 1st 2019 until April 30th 2020 and are provided an honoraria in accordance with policy of the Union. For more information about positions on the TRUSU Board of Directors see the table below. Nomination packages will be available at the Members’ Services Desk during the nomination period starting on February 19. Election polling will take place from March 18-22. Elections results will be posted on the Students’ Union website by March 22. Nominations open on February 19 at 8:00 AM for all of the positions in the table below. Nomination packages can be picked up at the Members’ Services Desk in the Students’ Union Building. Please keep in mind that a single student cannot sign out more than one nomination package. Nominations must be completed and returned to the Members’ Services Desk before 4:00PM on March 5, 2019. All of the positions below are members of the TRUSU Board of Directors and have an equal vote on matters that come before the Board. All representatives are required to attend bi-weekly board of directors meetings where they will review documents, receive reports, ask questions, and make decisions on issues. Click on any of the position titles in the table below for descriptions of each position’s individual responsibilities. Or download a copy of the Candidate Information package here. The President’s primary responsibility is chairing, overseeing, and reporting on the work of the University Affairs Committee and the Student Caucus. During their term the President can expect to work with the University Governance Coordinator to provide leadership for a team of students to plan weekly committee meetings, respond to media requests, and engage in extensive campus outreach throughout the fall and winter semesters. The Student Caucus recruits and resources student representatives on TRU committees, and plans and implements campaigns seeking changes in the university. In the past this has included campaigns on food service, parking, and open textbooks. The President is a member of the Board of Directors and required to attend bi-weekly board of director’s meetings. They are also a member of the Executive Committee and required to attend weekly executive meetings. In addition, the President chairs board meetings and serves as the staff relations officer for the organization. Students elected to this position should expect to commit approximately 20 hours per week. The Vice President Equity’s primary responsibility is chairing, overseeing, and reporting on the work of the Equity Committee. During their term the Vice-President Equity can expect to work with the Equity Coordinator to provide leadership for a team of students to plan weekly committee meetings, respond to media requests, and engage in extensive campus outreach throughout the fall and winter semesters. The Equity Committee is responsible for planning and implementing the equity based events and campaigns that the Students’ Union organizes. This includes events to end systems and structures of oppression that are faced by Aboriginal peoples, the LGBTQ community, women, and visible minorities, in addition to other equity issues. You can find information about some of the issues they have worked on in previous years here. The Vice President Equity is a member of the Board of Directors and required to attend bi-weekly board of director’s meetings. They are also a member of the Executive Committee and required to attend weekly executive meetings. Students elected to this position should expect to commit approximately 20 hours per week. The Vice President External’s primary responsibility is chairing, overseeing, and reporting on the work of the Campaigns Committee. During their term the Vice-President External can expect to work with the Campaigns Coordinator to provide leadership for a team of students to plan weekly committee meetings, respond to media requests, and engage in extensive campus outreach throughout the fall and winter semesters. The Campaigns Committee is responsible for planning and implementing the campaigns and government relations of the Students’ Union at the municipal, provincial, and federal levels. In the past this has included campaigns to improve provincial government funding to TRU, improve transit service for students, and lobby to create a provincial need-based grants system. The Vice President External is a member of the Board of Directors and required to attend bi-weekly board of director’s meetings. They are also a member of the Executive Committee and required to attend weekly executive meetings. The Vice President External also serves as the provincial executive representative to the British Columbia Federation of Students. Students elected to this position should expect to commit approximately 20 hours per week. The Vice President Internal’s primary responsibility is chairing, overseeing, and reporting on the work of the Entertainment Committee. During their term the Vice-President Internal can expect to work with the Entertainment Coordinator provide leadership for a team of students to plan weekly committee meetings, respond to media requests, and engage in extensive campus outreach throughout the fall and winter semesters. The Entertainment Committee is responsible for planning and implementing all of the entertainment that the Students’ Union offers. This includes the Back to School BBQ, the Common Voices annual lecture series, the Last Class Bash, and other events throughout the year. The Vice President Internal is a member of the Board of Directors and required to attend bi-weekly board of director’s meetings. They are also a member of the Executive Committee and required to attend weekly executive meetings. The Vice President Services’ primary responsibility is chairing, overseeing, and reporting on the work of the Services Committee. During their term the Vice-President Services can expect to work with the Services Coordinator to provide leadership for a team of students to plan weekly committee meetings, respond to media requests, and engage in extensive campus outreach throughout the fall and winter semesters. The Services Committee is responsible for planning and implementing all of the services that the Students’ Union offers. This includes management and promotion of existing services such as the Health and Dental Plan and the UPASS, as well and development, implementation, and promotion of new services. The Vice President Services is a member of the Board of Directors and required to attend bi-weekly board of director’s meetings. They are also a member of the Executive Committee and required to attend weekly executive meetings. The Indigenous Representative ensures that the valuable perspective and interests of the Aboriginal, First Nations, and Métis constituency are represented in the Board of Directors. They are a member of the Equity Committee and are responsible for planning and implementing equity initiatives to end systems and structures of oppression that are faced by Indigenous peoples, the LGBTQ community, women, and visible minorities. The Indigenous Representative is a member of the Board of Directors and required to attend bi-weekly board of director’s meetings where they will be expected to review documents, receive reports, ask questions, and make decisions. Students elected to this position should expect to commit approximately 10 hours per week. All candidates for this position must self-identify as an Indigenous person. The Graduate Students’ Representative ensures that the valuable perspective and interests of graduate students are represented in the Board of Directors. They are a member of the Student Caucus Steering Committee and work to advance the interests of graduate students through institutional governance and campaigns of the Student Caucus. The Graduate Students Representative is a member of the Board of Directors and is required to attend bi-weekly board of director’s meetings where they will be expected to review documents, receive reports, ask questions, and make decisions. Students elected to this position should expect to commit approximately 10 hours per week. All candidates for this position must be registered in a Graduate program at Thompson Rivers University. The International Students’ Representative ensures that the valuable perspectives and interests of international students are represented in the Board of Directors. They are a member of the Student Caucus Steering Committee and work to advance the interests of graduate students through institutional governance and campaigns of the Student Caucus. The International Students Representative is a member of the Board of Directors and is required to attend bi-weekly board of director’s meetings where they will be expected to review documents, receive reports, ask questions, and make decisions. Students elected to this position should expect to commit approximately 10 hours per week. The Lesbian, Gay, Bisexual, Trans*, and Queer (LGBTQ) Students’ Representative ensures that the valuable perspectives and interests of the LGBTQ community are represented in the Board of Directors. They are a member of the Equity Committee and are responsible for planning and implementing equity initiatives to end systems and structures of oppression that are faced by Indigenous peoples, the LGBTQ community, women, and visible minorities. The LGBTQ Representative is a member of the Board of Directors and is required to attend bi-weekly board of director’s meetings where they will be expected to review documents, receive reports, ask questions, and make decisions. Students elected to this position should expect to commit approximately 10 hours per week. All candidates for this position must self-identify as members of the LGBTQ+ community. The Visible Minorities Students’ Representative ensures that the valuable perspectives and interests of visible minorities are represented in the Board of Directors. They are a member of the Equity Committee and are responsible for planning and implementing equity initiatives to end systems and structures of oppression that are faced by Indigenous peoples, the LGBTQ community, women, and visible minorities. The Visible Minorities Representative is a member of the Board of Directors and is required to attend bi-weekly board of director’s meetings where they will be expected to review documents, receive reports, ask questions, and make decisions. Students elected to this position should expect to commit approximately 10 hours per week. All candidates for this position must self-identify as a visible minority. The Women’s Representative ensures that the valuable perspectives and interests of women are represented in the Board of Directors. They are a member of the Equity Committee and are responsible for planning and implementing equity initiatives to end systems and structures of oppression that are faced by Indigenous peoples, the LGBTQ community, women, and visible minorities. The Women’s Representative is a member of the Board of Directors and is required to attend bi-weekly board of director’s meetings where they will be expected to review documents, receive reports, ask questions, and make decisions. Students elected to this position should expect to commit approximately 10 hours per week. All candidates for this position must self-identify as a woman. There are two Campaigns Committee Representatives on the TRUSU Board of Directors. The Campaigns Committee Representatives’ primary responsibility is to assist the Campaigns Committee with the implementation of its work. During their term this will include attending weekly meetings, contributing to planning, and participating in extensive campus outreach on issues the committee is addressing. The Campaigns Committee Representatives are members of the Board of Directors and are required to attend bi-weekly board of director’s meetings where they will be expected to review documents, receive reports, ask questions, and make decisions. Students elected to this position should expect to commit approximately 10 hours per week. There are two Entertainment Committee Representatives on the TRUSU Board of Directors. The Entertainment Committee Representatives’ primary responsibility is to assist the Entertainment Committee with the implementation of its work. During their term this will include attending weekly meetings, contributing to planning, and participating in extensive campus outreach on issues the committee is addressing. The Entertainment Committee Representatives are members of the Board of Directors and are required to attend bi-weekly board of director’s meetings where they will be expected to review documents, receive reports, ask questions, and make decisions. Students elected to this position should expect to commit approximately 10 hours per week. There are two Services Committee Representatives on the TRUSU Board of Directors. The Services Committee Representatives’ primary responsibility is to assist the Services Committee with the implementation of its work. During their term this will include attending weekly meetings, contributing to planning, and participating in extensive campus outreach on issues the committee is addressing. The Services Committee Representatives are members of the Board of Directors and are required to attend bi-weekly board of director’s meetings where they will be expected to review documents, receive reports, ask questions, and make decisions. Students elected to this position should expect to commit approximately 10 hours per week. There are two University Affairs Steering Committee Representatives on the TRUSU Board of Directors. The university Affairs Committee Representatives’ primary responsibility is to assist the University Affairs Committee with the implementation of its work. During their term this will include attending weekly meetings, contributing to planning, and participating in extensive campus outreach on issues the committee is addressing. The University Affairs Committee provides leadership to the Student Caucus in recruiting and resourcing student representatives on TRU committees, and in planning and implementing campaigns seeking changes in the university. In the past this has included campaigns on food service, parking, and open copyright textbooks. The University Affairs Committee Representatives are members of the Board of Directors and are required to attend bi-weekly board of director’s meetings where they will be expected to review documents, receive reports, ask questions, and make decisions. Students elected to this position should expect to commit approximately 10 hours per week.